Time for a review of the most interesting, depressing, and just plain odd condo association news. 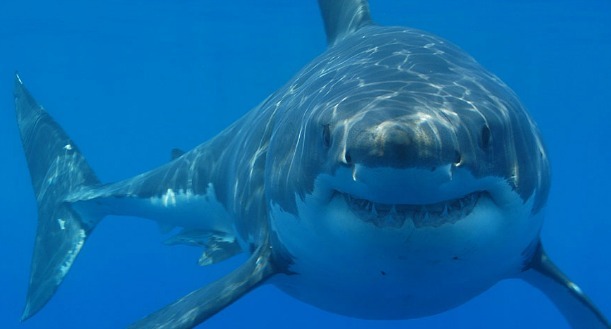 2016 is off to a predictable start from an Association perspective – we’ve got new laws around accountability, arrests for embezzlement, and sharks. Not loan sharks, real sharks. A county in Maryland has made an online course on Community Associations mandatory for all new Board members. I clicked around the training a bit for fun, and it seems to be useful and helpful enough, although it does allow you to rapid-fire click through the entire training without any pauses. Overall I think this is a good effort by the county to offer education materials as far as how Associations work, as many Associations don’t have any sort of Board member orientation. If you’re a new Board member, reading my top priorities is also a great way to keep things in perspective. A community manager was indicted for embezzling $2.8M over many years. This story underscores the fact that as a Board member – and an Owner – you need to be constantly vigilant with regards to the operations of your community. Make sure you’re doing spot audits and you’re looking to see if there are anomalous invoices in expense categories. The challenge in a large Association is that a clever thief, like the alleged in this article, can slowly siphon funds, but they are certainly enabled if Board members don’t keep an eye on the books. Treat Association budgets like they are budgets for your own cash – because they actually are! This story out of Baltimore is one that has been kicking around for awhile. It appears – based on news coverage and court documents – the Board initially refused to repair the roof (a common element) of a penthouse unit, and when the Owner sued, the Association was compelled to make the repairs – and then failed to complete the work as ordered on time. There HAS to be more to this story for the Board and Association to be acting so obstinate, but we may never know. The other thing to keep in mind is the judgment against the Condo is against the Association, so the whole building must pay, which will undoubtedly strain the finances – perhaps even triggering a special assessment. For such shenanigans to be going on for so long emphasizes how Owners must keep tabs on their Board and make sure that there isn’t willful misconduct or a refusal to obey court orders, or you can end up paying out of your own pocket. Given the drama, I wonder if there is a case to be made against the Board members individually – the rules vary by state, but if Board members willfully ignore the bylaws or act in bad faith, they sometimes can be sued. Given that the Association was failing to comply with a court order (granted, there could have been any number of causes of such delays), it makes you really wonder in this case. I would of course be remiss if I did not point out this gem of oddball Condo Association news. Apparently some pranksters managed to procure and drop a 5-foot shark into a Condo pool in Florida. While funny and ridiculous on the surface, this is clearly a prank gone too far. It was a dangerous situation for pool goers and appears that it likely resulted in the death of one of nature’s most finely tuned killing machines from chlorine exposure.